There are a number of annual events on the West Coast that have people flocking to the area every year. Many of the towns organising these events get booked and can be very busy. Jackson’s Retreat Alpine Holiday Park is an ideal place to stay, close enough to easily get to an event but far enough away to get some well-earned rest after a Wild Day Out. Hokitika woman Claire Bryant instigated the very first celebration of local wild food. Her wine cellar was very well stocked with a home brew of West Coast gorse flower wine and people were clamouring for a taste of her rose petal brew. So … why not a festival celebrating the tastes of the wild West Coast! 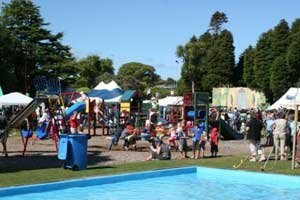 The event also coincided with the 125th anniversary celebration of the birth of Hokitika in March 1990. Locals and the rest of New Zealand were captured by the magic of the idea – a celebration of Hokitika and the wild foods of the West Coast. The Wild Foods Festival is traditionally held on the second Saturday in March, but you can check the Wild Foods Festival website for more information and the next event date. Spend the day at Hokitika and avoid the rush by heading back to Jackson’s Retreat for some peace and quiet. 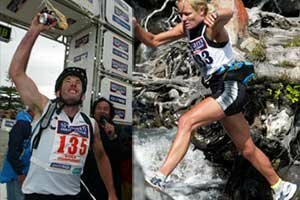 The Speight’s Coast to Coast is the world’s premier multi-sport event. It is the benchmark by which every other multi-sports event is judged, both here in New Zealand and overseas. The Speight’s Coast to Coast is normally held on the first weekend in February, but you can check the Coast to Coast website for more information. Jackson’s Retreat is a fantastic base for Coast to Coast supporters and participants. Art in the Park showcases the wonderful artistic and creative talent to be found on the West Coast. It is an opportunity for the artists to network with one another and for the public to meet the artists and discuss their various artforms. For more information check the Art in the Park website. Jackson’s Retreat is just 40 minutes from Shantytown, making it an ideal base for art lovers attending the event. 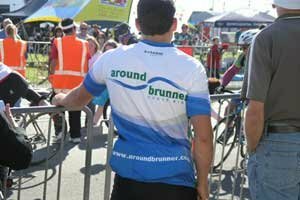 Around Brunner is a 130-km sealed circuit cycle ride which takes cyclists through some of the most stunning scenery the West Coast of New Zealand has to offer. 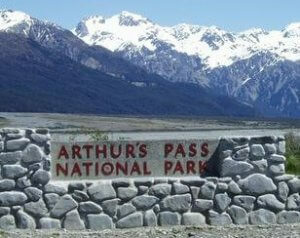 Starting from Greymouth, cyclists ride along the edge of the Tasman Sea, then turn inland at Kumara Junction. The ride climbs gently through scenic rainforest to Inchbonnie, the half-way point and stage teams changeover. Cyclists then turn north for a breathtaking flat ride through the stunning scenery of Lake Poerua, Rotomanu and Moana, which are nestled between the spectacular Southern Alps and tranquil Lake Brunner. Climbing out of Moana, cyclists follow an undulating and winding course through the picturesque Arnold Valley to Stillwater. A flat ride beside the banks of the Grey River takes cyclists back to Greymouth. The Around Brunner Cycle Ride is generally held in the third weekend in April. You can find out more information at the Around Brunner website. Jackson’s Retreat is a fantastic base for Around Brunner supporters and participants. Come and stay at Jackson’s Retreat Campervan Holiday Park and enjoy a range of West Coast events. Find out more about our unique West Coast holiday accommodation.